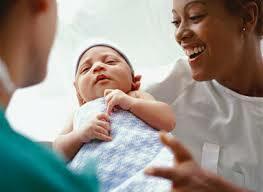 What is the role of a Certified Nurse-Midwife? A midwife is an individual who helps women prepare for labor and childbirth, and it goes without saying that these types nurses have been around for thousands upon thousands of years. Still, it can be argued that a lot of midwives past and present have been more of “traditional birth attendants,” which is a nicer way of saying that these are midwives who have not undergone any kind of medical training or education. Certified Nurse-Midwives, or CNM for short, have that sort of training and then some – they are Registered Nurses with a Master’s or Doctorate degree, and do much more than simple “birth attendants,” as they are well-attuned to women’s medical needs as they get ready to give birth. Becoming a Certified Nurse Midwife would typically entail that you attend a nationally accredited Master’s program with a CNM track included – it’s important that the program you choose is accredited by the ACNM. As usual, you’ll need to check the requirements asked of you, as this will all depend on the educational institution and your state’s Board of Nursing. Don’t be afraid to make a call to the schools you are considering, and speak to the right people in admissions and in the nursing department – this will ensure you get the right information at the right time. CNM programs may require about 80 to 100 credit hours, or even more, and it may take up to four years for you to complete them. Once you have completed your CNM program, you may find employment in any health care facility that would provide full service perinatal care, such as independent birthing centers (not to be confused with hospitals). Hospitals, of course, would have many openings for Certified Nurse Midwives , as it is there where most childbirths occur, but remember once again that the scope of a midwife’s work doesn’t just cover childbirth; it also covers events that take place before or after the child is actually born.